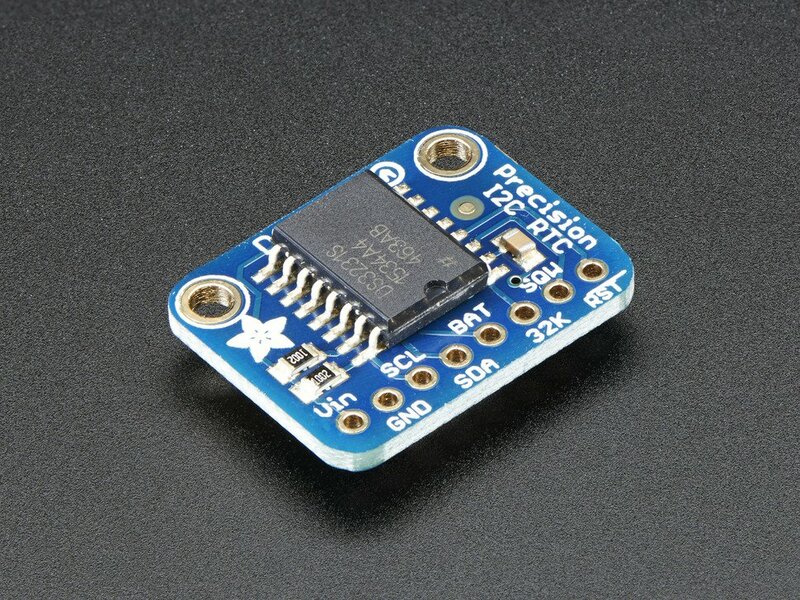 This is the finest RTC you can get, and now we have it in a compact, breadboard-friendly breakout. With a coin cell plugged into the back, you can get years of precision timekeeping, even when main power is lost. Great for datalogging and clocks, or anything where you need to really know the time. After the RTC is set, you retrieve the alarm status by reading the corresponding alarm1_status or alarm2_status attributes. Once True, set it back to False to reset. circuitpython-build-bundles --filename_prefix adafruit-circuitpython-ds3231 --library_location . © Copyright 2016, Philip Moyer Revision 0e8b9ae9.